This communiqué comes from the folks of the Mesoamerican Movement against the Extractive Mining Model, expressing their solidarity with the Indigenous struggle of the Wet’suwet’en people in so-called Western Canada. The communiqué makes the connection between the Indigenous and campesino struggles in Mesoamerica and the struggle of the Wet’suwet’en against the pipeline project in their territory. Originally published by Movimiento M4. Translated by Voices in Movement. From the Mesoamerican Movement against the Extractive Mining Model—M4—we join in international solidarity with the Indigenous Wet’suwet’en people of so-called Western Canada, who have faced new acts of violence from the Canadian government. This past January 7th, the police, working as the implementing force of a judicial order emitted in December of 2018, arrived to the encampment, which was installed to impede the construction of a pipeline in their territory. There they arrested 14 Indigenous activists. The company Coastal Gaslink, a subsidiary of TransCanada, seeks to ignore the decision of local populations who do not want the exploitation of their lands. As Indigenous and campesino peoples of Latin America, we know very well the actions of the extractive companies that, wherever they want to install themselves, use all kinds of tricks, criminalization and direct violence to maintain control over the territories. 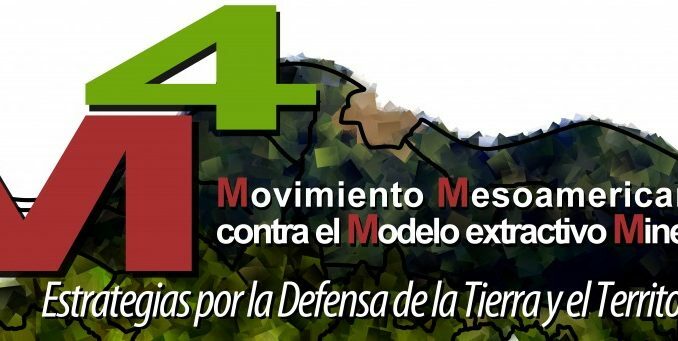 From the corners of our America, we send you our support and solidarity to continue forward in the defense of your territory, to continue presenting examples of resistance and the construction of autonomies against the aggression of the extractivist model that dispossesses us of our forms of life and violates the harmony of our communities. We demand an end to the imposition of megaprojects and respect for the self-determination of Indigenous peoples.